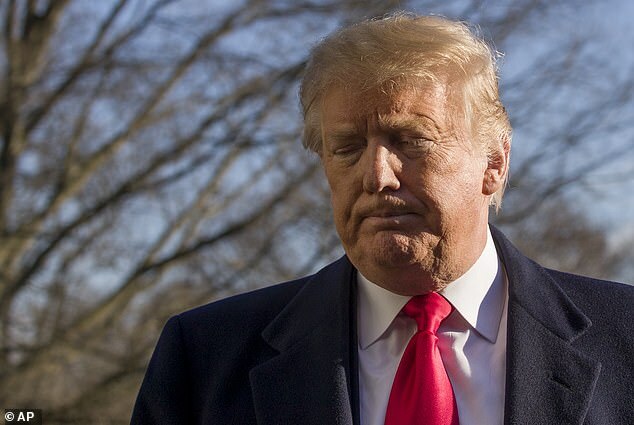 At least three television networks have bowed to pressure from Democrats and agreed to air a response to President Donald Trump’s Oval Office address about what the White House says is a ‘humanitarian crisis’ on America’s southern border. CNN, NBC and CBC have committed to the gesture, only the second of its kind for a presidential speech other than an address to a joint session of Congress. House Speaker Nancy Pelosi and top Senate Democrat Chuck Schumer demanded equal time on Monday after Trump said he would address the nation Tuesday night about the federal government’s partial shutdown, triggered by a stalemate over funding for a border wall. 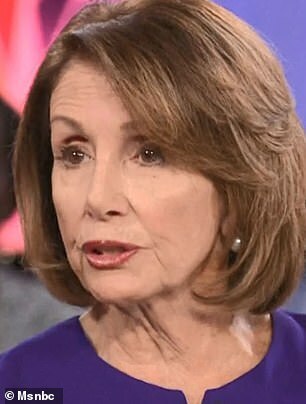 ‘Now that the television networks have decided to air the President’s address, which if his past statements are any indication will be full of malice and misinformation, Democrats must immediately be given equal airtime,’ they wrote in a joint statement released Monday night. It’s unclear who will carry the Democrats’ message on TV after the president is finished speaking. 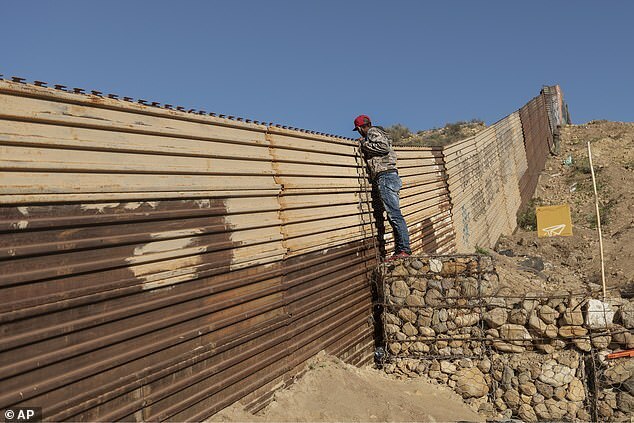 With no breakthrough in sight, Trump will make his case that a ‘crisis’ at the U.S.-Mexico border requires the long and invulnerable wall he’s demanding before the government’s shuttered agencies can reopen. ‘There is a humanitarian and national security crisis,’ Vice President Mike Pence told reporters Monday as it’s feared Trump will declare a national emergency that would empower him to construct the $5.6billion border wall without congressional approval. Pence said the White House counsel’s office is looking at the idea. Trump’s Oval Office speech – his first as president – will be followed by his visit Thursday to the southern border to highlight his demand for a barrier. 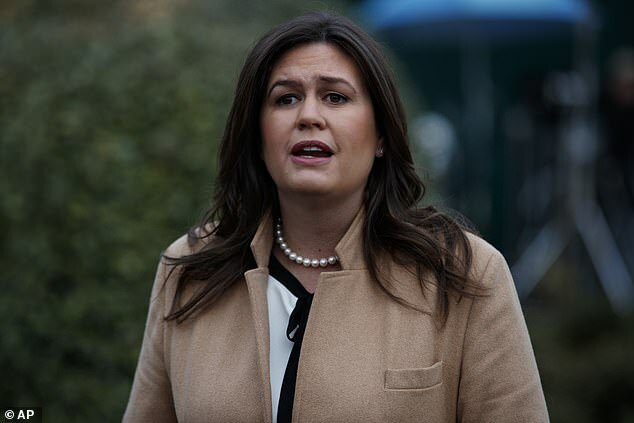 White House press secretary Sarah Huckabee Sanders tweeted that he will use the visit to ‘meet with those on the front lines of the national security and humanitarian crisis’. Such a move would certainly draw legal challenges, and Trump – who told lawmakers he would be willing to keep the government closed for months or ever years – has said he would like to continue negotiations for now. As Trump’s speech and border visit were announced, newly empowered House Democrats – and at least a few Republican senators – stepped up pressure on GOP lawmakers to reopen the government without giving in to the president’s demands. The White House moved to pre-empt the Democrats, telling reporters Monday that tax refunds would be paid despite the shutdown. That shutdown exemption would break from the practice of earlier administrations and could be challenged. ‘There is an indefinite appropriation to pay tax refunds. As a result … the refunds will go out as normal,’ said Russell Vought, acting director of the White House budget office. There were other signs that administration was working to control the damage from the shutdown, which has furloughed 380,000 federal workers and forced another 420,000 to work without pay. The National Park Service said it was dipping into entrance fees to pay for staffing at some highly visited parks to maintain restrooms, clean up trash and patrol the grounds, after reports of human waste and garbage overflowing in some spots. But Trump and the Transportation Security Administration pushed back on any suggestion that the call-outs at the agency represented a ‘sickout’ that was having a significant effect on U.S. air travel. TSA said it screened more than 2.2 million passengers Sunday, a historically busy day due to holiday travel. Ninety percent waited less than 15 minutes, the agency said. ‘We are grateful to the more than 51,000 agents across the country who remain focused on the mission and are respectful to the traveling public,’ said TSA spokesman Michael Bilello. The talks over ending the shutdown have been at an impasse over Trump’s demand for the wall. He has offered to build the barrier with steel rather than concrete, billing that as a concession to Democrats’ objections. They ‘don’t like concrete, so we’ll give them steel,’ he said. But Democrats have made clear that they object to the wall itself, not how it’s constructed. They see it as immoral and ineffective and prefer other types of border security funded at already agreed-upon levels. ‘Maybe he thinks he can bully us. But I’m from Brooklyn. 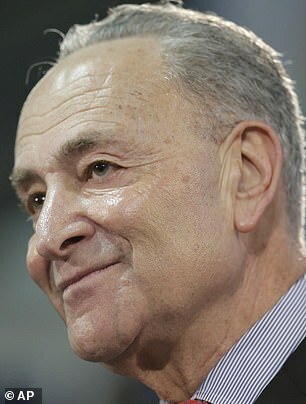 You let a bully succeed, you’ll be bullied again worse,’ Schumer said at a breakfast with the Association for a Better New York. 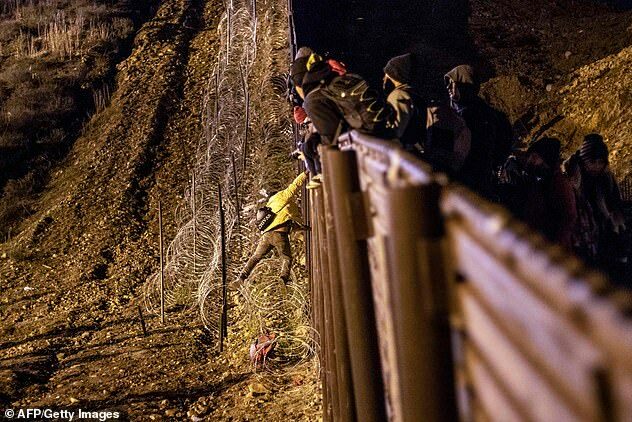 ‘Democrats want to secure the border? Great. Come to the table,’ she said Monday. Trump has tasked Pence during the shutdown fight to negotiate with Democrats, including during talks over the weekend with Democratic staffers. But the Vice President is increasingly being called upon to prevent defections in the GOP ranks. ‘Let’s get those reopened while the negotiations continue,’ Collins said Sunday on NBC’s Meet the Press. Adding to concerns of lawmakers, federal workers who are still on the job apparently will miss this week’s paychecks. Acting Chief of Staff Mick Mulvaney said on NBC’s ‘Meet the Press’ that if the shutdown continues into Tuesday, ‘then payroll will not go out as originally planned on Friday night.